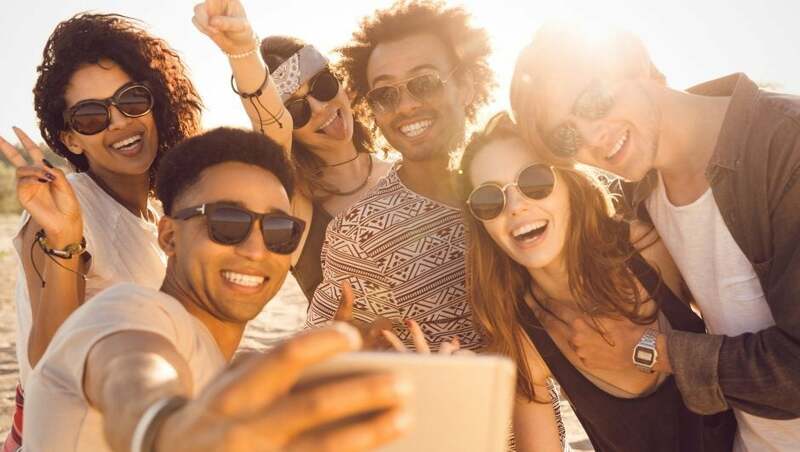 When millennials make up over one-third of the American workforce, businesses must consider the benefits and company features that attract, motivate, and retain this generation as employees. Big corporations, like Google and Facebook, offer travel opportunities, sleep pods in the office, and free healthcare, so it’s not easy for startups to stand out and offer comparable benefits. As a startup, you likely can’t match the salary of large companies, however, unlike previous generations, millennials are motivated by things other than money. Millennials have grown up with the mantra of “work hard, play hard.” They also believe in a strong work-life balance, which is good news for you. This generation is willing to put in the long hours if they feel appreciated and dedicated to the company. As you look for millennials to join your startup, consider offering a few unique perks that inspire a strong company culture and reflect the lifestyle and work environment millennials value. A FlexJobs survey found that 85 percent of millennials want a job that allows them to telecommute 100 percent of the time, and 50 percent would be okay telecommuting some of the time. Millennials enjoy autonomy, so whether you offer telecommuting or a flexible schedule, you can inspire them to join your team and stay dedicated. The great thing about telecommuting is that it benefits both parties. Along with fulfilling a job feature millennials want, telecommuting can reduce operating costs—fewer bodies using electricity and supplies—and encourage greater employee productivity. According to a study from TINYpulse, an employee engagement firm, telecommuters say they’re more productive working remotely, feel more valued, and are happier with work compared to their in-office counterparts. As many millennials are still early in their careers, they have a greater desire than other generations to learn and grow. Inspire them with educational opportunities that simultaneously boost company culture. For example, each month, have an individual from management provide a learning lesson about a particular job they do. This could be your creative director offering tips on how to get into UX design or Photoshop hacks for better design. Host these sessions during lunch and cater food to inspire employees to attend. Another idea is to allow employees to meet one-on-one with the CEO twice a year to share ideas they have that would benefit the company, whether it’s a new product, process, or initiative. Millennials want to feel valued, and a startup is an ideal environment to promote new ideas. Many subscription services are inexpensive but highly enjoyed by millennials. Try enticing millennial workers with a free Netflix subscription. More than ever, millennials aren’t buying cable, and 60 percent of US adults 18 years and older stated that they thought Netflix had interesting, original content. Consider offering employees subscriptions of their choice up to a set dollar amount, such as $25 per month, and allowing them to choose from streaming services. Beyond entertainment, millennials appreciate health-related subscriptions. Since millennials tend to be a health-conscious generation, you can attract them by offering gym memberships, an on-site gym, or healthy food subscription services. More than any other generation, millennials are passionate about social responsibility, meaning they’re more likely to be drawn to companies that give back in some way. Even if your startup isn’t a nonprofit, you can practice social responsibility. Companies like Salesforce allow employees to take paid time off to volunteer for a charitable cause of their choice, from cleaning up a beach to serving soup at a kitchen. Along with or instead of paid volunteer time off, host charitable team events throughout the year, such as participating in a 5k that benefits a good cause, hosting a food drive or blood bank, or cleaning up a local park during lunch hours. Along with doing good for the world, you can build a stronger company culture and bring your employees together. By focusing on fulfilling millennials’ greatest expectations in an employer, you can attract this hard-working generation and build a dedicated team of employees. Put some of these tips into action and publicize them on your company careers page and job descriptions, and see your inbox fill up with resumés. Alice Williams is a communications professional and freelance writer, covering topics related to business, tech and social media. She has an MA in Communication Studies.